Sandals and Beaches Resorts coming to Aruba and Grand Cayman? Rumors have been going around for months now on whether or not Sandals and Beaches Resorts were planning on making yet another Caribbean island home to their growing resort chain. Word was that Aruba, Grand Cayman, or possibly Mexico were on the table. 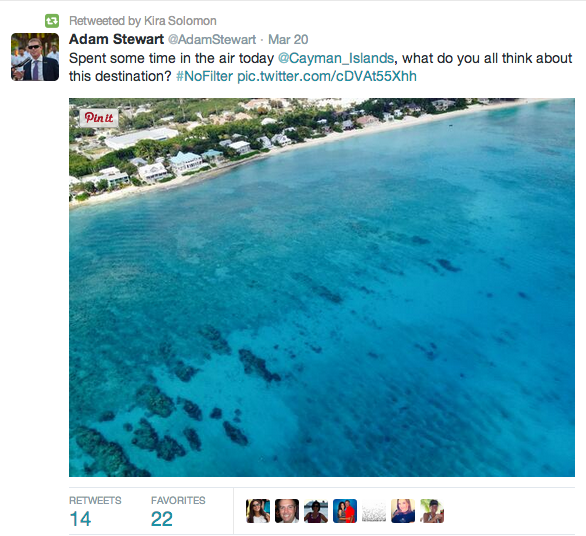 Today on Twitter, Adam Stewart (CEO of Sandals Resorts International) confirmed that Grand Cayman is definitely a possibility! Since then we've learned that both Grand Cayman and Aruba are what the Sandals brand currently has their eyes set on in terms of island expansion. It only makes the most sense as Island Routes, the tour company owned by Sandals Resorts International, is already providing tours on those two islands. So what would this mean for Sandals? Well in addition to their brand new Sandals Resorts -- Sandals La Source Grenada and Sandals Barbados, and the brand new Beaches Resorts set to open in 2015 and 2016-- Beaches Barbados and Beaches Antigua-- this would bring at least two additional resorts to the growing chain, as well as mean two new islands that Sandals has yet to own properties on. It would also change the face of all-inclusive resorts in Aruba and Grand Cayman which currently have all-inclusive properties on their islands but nowhere near up to the Sandals standard. We're excited to see what comes of this! We fully expect many more announcements of more amazing things happening with Sandals and Beaches Resorts in the next decade! To keep up to date with everything, make sure to subscribe to our blog below!